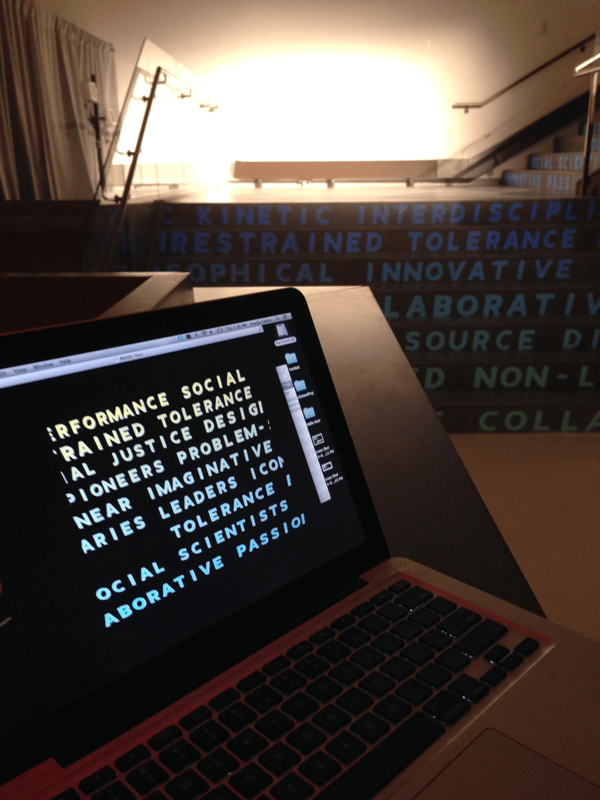 A set of words relating to the theme, philosophy, and function of the new academic building scrolled across the steps of a central staircase. As people passed through the projected words, their shadow would disrupt and block the flow of letters. 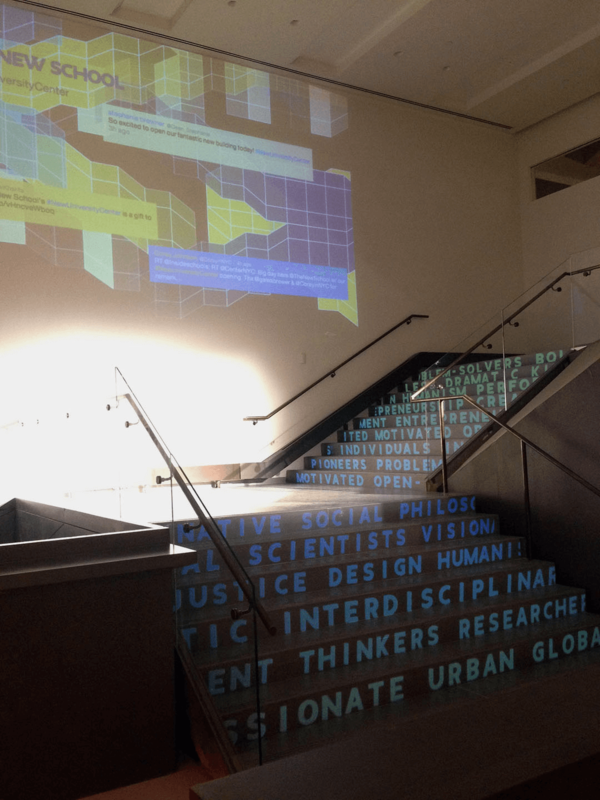 Meanwhile, the rear wall showcased a live-updating stream of relevant tweets superimposed over a stylized, algorithmically changing representation of the building. 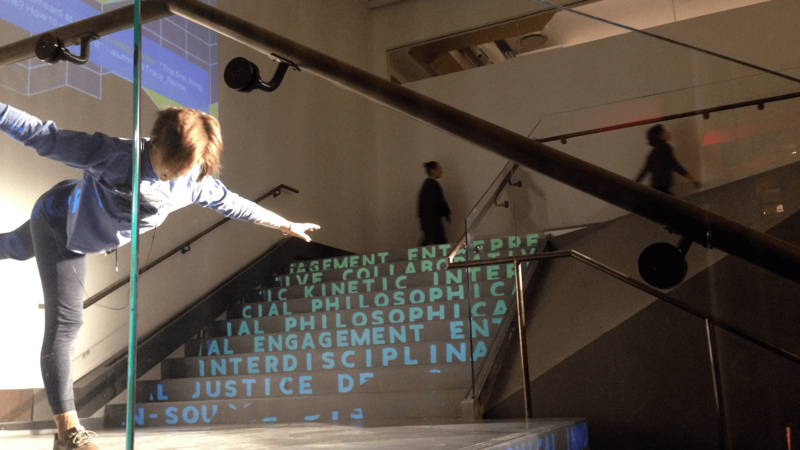 I was responsible for developing the visual behavior of the text (scrolling and responding to user interaction), developing a custom 3D projection-mapping system to address the unique geometry of the stairs, as well as creating the live-updating twitter wall projection.